Private 22607 John Oakshott Nash, 1st Battalion, Royal Berkshire Regiment (attached 252 Company. Royal Engineers). 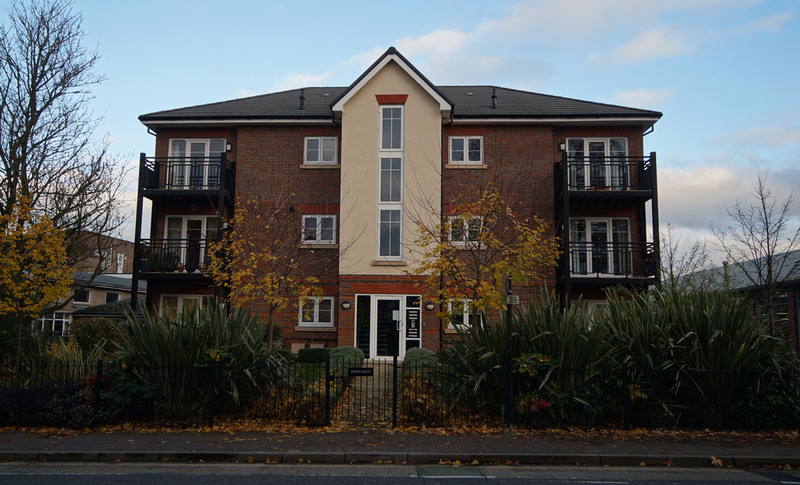 Uplands in Newtown Road was the southern of two large semi-detached houses that have been demolished and replaced by this block of flats. John was born in Newbury in 1887, the only child of John Thomas Nash and his wife Hannah née Oakshott. 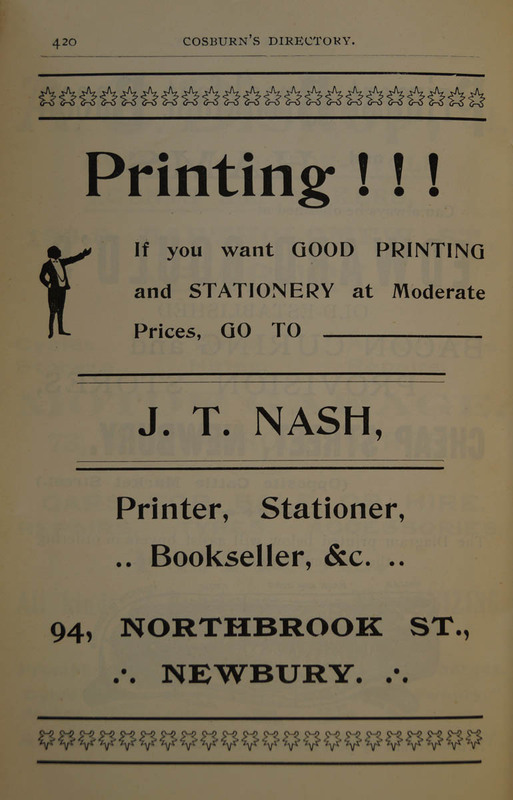 His father was a printer and bookseller with a shop at 94 Northbrook Street. As the business thrived the family were able to move in 1906 from the flat above the shop to 2 Uplands Villas in Newtown Road. John attended Newbury Grammar School (1900-1904) before joining his father in the family business. By 1911 he was well established and, as his father approached retirement, would have begun to think of what he would do with the firm when he was in charge. He also became involved in church activities with the local Congregationalists, in particular their Pleasant Sunday Afternoon (PSA) Brotherhood of which he became a leading light taking on the responsibilities of treasurer. The PSA movement began in the West Bromwich in 1875 when a new form of Sunday meeting was introduced, not a formal church service, but still Christian and intended to be ‘brief, bright and brotherly’. This new form of meeting was popular with a younger membership. 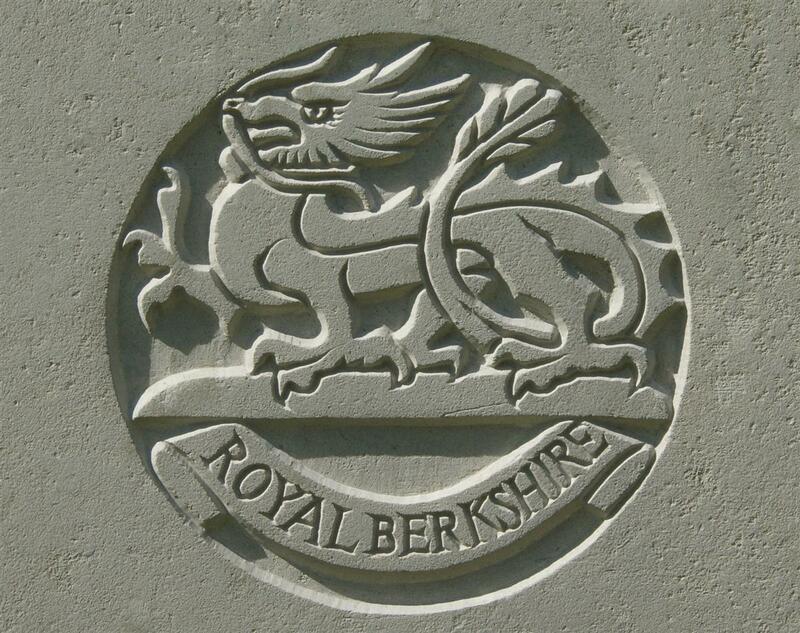 The regimental badge of the Berkshire Regiment, as used on John's headstone. However, war intervened and John decided to fight. He signed up in April 1915 opting to become a private in the Royal Berkshire Regiment. It was 1916 before he completed his training and was ready to go to the front where he was posted to join the Regiment’s 1st Battalion. However, he was not with them for long, for some reason he was chosen (or volunteered) to work with the 252nd Company, Royal Engineers. This was one of the tunnelling companies, employed in underground warfare with the enemy as both attempted to dig under the opposition trenches, fill the end of the tunnel with explosives and destroy an enemy strongpoint at a critical moment. Naturally the enemy would be on the alert for such operations and would attempt to destroy tunnels and tunnellers, usually with a smaller explosion that would bury the diggers alive – though hand to hand fighting in cramped tunnels was not unknown. 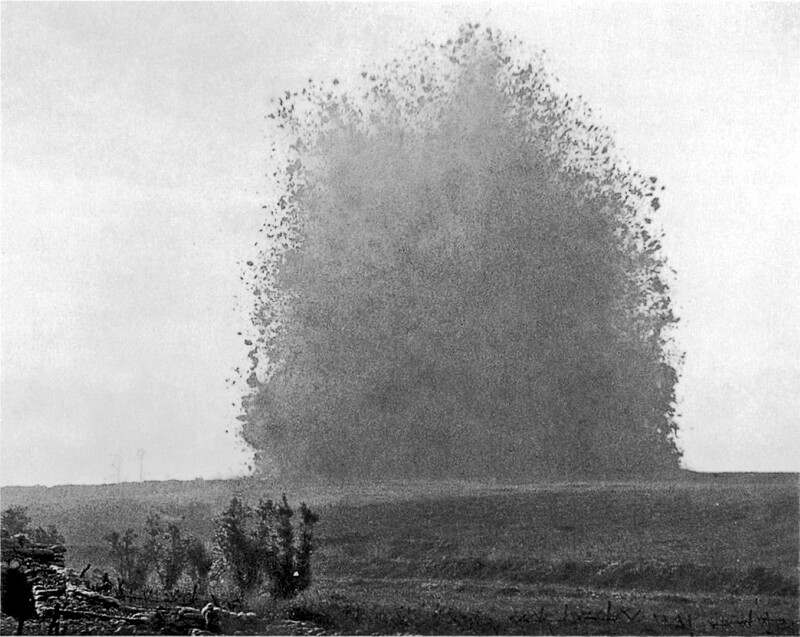 The 252 Company was responsible for the Hawthorn Ridge +Mine, the explosion of which marked the start of the Battle of the Somme and can be seen on the famous film of the battle. It is not known when John began his underground adventure; he may have worked on the Hawthorn Mine, he may have joined the company thereafter. As well as the dangers of tunnelling the men involved were working close to the front line, even above ground they were within the danger zone where an enemy shell might land at any moment. The circumstances of John’s wounding have not been recorded, 252 Company’s war diary entry for the day doesn’t even have an entry for 26 September 1916 - the day John died. There are a number of entries for the days preceding, several of which report men being wounded: 11 September – Six men wounded by rifle grenade; 15 September – One man wounded by shrapnel; 18 September – One man wounded; 23 September One man killed and 2 wounded. However, John’s fatal wounding was not recorded at all by the Company diarist – the day he was wounded (25 September) was recorded in the diary as: Big offensive started and our men unable to work. NASH – Sept 26. In a hospital in France, John Oakshott Nash, aged 29, only son of Mr and Mrs J T Nash, of Newbury. The sad news was received on Saturday that another young townsman had fallen on the battlefields of France. John Oakshott Nash was the son of Mr and Mrs Nash of Uplands, Newtown-road. He joined up in April last, and after 12 months at Reading and Portsmouth he left for France, where his training was being completed. Originally in the Berks Regiment, he was transferred to the Royal Engineers. Though never engaged in conflict, he experienced several narrow escapes whilst at work in the trenches and elsewhere. Cheerful letters were received from time to time, in which he spoke hopefully of returning in due course, and relieving his father from the Northbrook-street business of stationer and printer. A letter written on Saturday, the 23rd, was received on Friday, the 29th. But on the following day a fateful letter reached his parents saying that his son was no more, having been wounded in the head on Monday, and passing away of the Tuesday. The letter was written by a Sister of the hospital, who said that deceased never recovered consciousness. He was brought promptly to the base hospital and received every attention. He would be buried in the British cemetery, and his grave would be properly cared for. Deceased was 29 years of age. Speaking at the Sunday afternoon meeting of the PSA Brotherhood, the Rev J W Harford said they met that afternoon under a great cloud of sorrow and sense of bereavement of Mr John Nash. News had been received on the previous day of the death of one who had been a member of the Brotherhood for some years, and also filled the important office of treasurer. It was about five months ago [sic] that he joined up, and the greater part of that time he had been in France, and as far as he could learn, he had acted throughout as a true Brotherhood man. On one occasion his superior officer asked why he never used the kind of language which, unfortunately, prevailed in the Army. The reply their friend used, was, “I came into the Army with a clean mouth, and I will go out of it with a clean mouth.” Another incident is also related. The men of his company were in a barn together, when the news was brought to one of them, telling of a favourite brother who had been killed. Nothing that was said by any of his comrades seemed to console him at all. Pte Nash, however, came closer to him and spoke words of consolation, and then said, “let us kneel down and pray,” and the two men knelt down together, and it had an effect on all the men, and they bowed in a devotional attitude. They could not but admire the courage and sincerity of their young brother. Their sympathy at such a time would go out towards Mr and Mrs Nash. His father naturally looked forward to the time when he would succeed him in the business. In the home there would be the blank created by the loss of an only son. Both father and mother were showing great fortitude and resignation under so great a calamity, and also wish to send a message of comfort in this hour of their great sorrow. The members of the Brotherhood then rose in approval, and stood while the Dead March in Saul was played, Mr Herbert Hall being at the organ. John was buried in grave III.A.19 at Couin British Cemetery. Despited John's 'transfer' to the Royal Engineers reported in the local paper his headstone bears the badge of the Royal Berkshire Regiment - demonstrating that he had been temporarily 'attached' to the Engineers, not transferred. 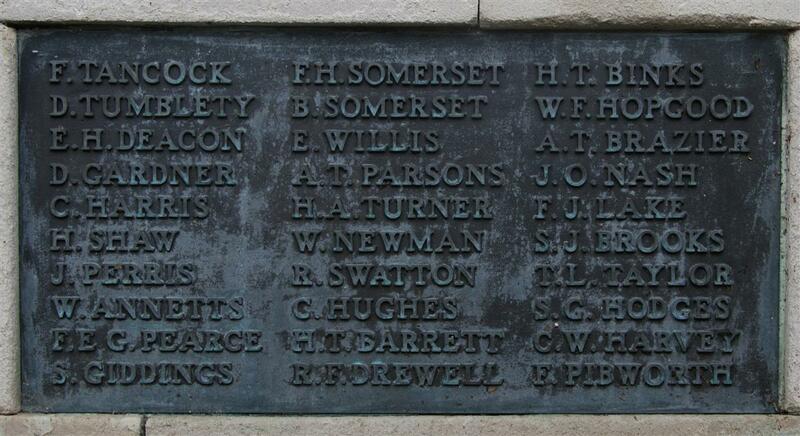 Locally he is remembered on Tablet 13 of the Newbury Town War Memorial as well as the Congregational Church War Memorial (now in Newbury Town Hall) and the Newbury Grammar School Memorial (now in the reception area at St Bartholomew’s School, Newbury). His name was also added to his parents’ grave in Newtown Road Cemetery, Newbury.